BEYOND THE PALE explores cutting edge Jewish culture and offers local, national, and international political debate and analysis from a Jewish perspective. Sitting in a storage space on John Street in Brooklyn are boxes of deteriorating cassettes, mini-disks, DATs, and reel-to-reel tapes that constitute the surviving recordings of Beyond the Pale, JFREJ's weekly radio show that aired on WBAI for19 years. We are writing to ask you to help us save them. The archive holds treasures. It contains interviews with Yiddish singer Adrienne Cooper, labor leftist Moe Foner, author Grace Paley, blacklisted screenwriter Abe Polonsky, poet Adrienne Rich, radio personality Studs Terkel, and many other cherished figures who are no longer with us. It contains coverage of such major events as the September 11 attacks, the assassination of Yitzhak Rabin, and Operation Cast Lead. The archive also includes Beyond the Pale's coverage of important events in the history of progressive Jewish activism, ranging from the Sacco and Vanzetti case to the trial of Ethel and Julius Rosenberg, from the Ocean Hill-Brownsville battle over community control of public schools in the late 1960s to the Crown Heights conflict of 1991. It's an archive that we are desperate to preserve for future generations of scholars, activists and journalists. We have a plan for doing so, and that is where your support would mean so much. Step one. Catalogue our existing recordings, including what exactly we have and why audio format each one is on. Cost: $3,100. Step two. Label and box the tapes and find a permanent home for them at a university library, a public library or other research insitution. Cost: $800. Step three. Our audio from 2006 to 2014 has already been digitized, but the rest has not. We'd select 50 to 100 segments of particular historical interest from the years 1995 to 2005 for digitization and preservation. Cost: $1,500 - $2,700. Step four. Create a landing page at archive.org, a creative commons site, where all of our digitized audio will be housed and become publicly available. Cost: $1,500. Finally, we will search for a home at a library for the physical media collection. Make a tax-deductible donation to Jews For Racial & Economic Justice with Beyond the Pale in the "in honor" field. Share this message with anyone you know who might want to support this project. 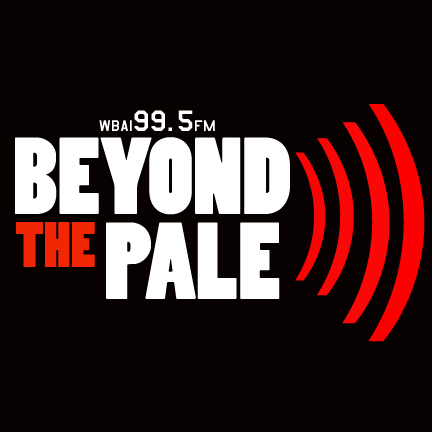 Of course we are sad that Beyond the Pale is no longer on-air -- a casualty of the major changes at WBAI combined with exhaustion bred of producting a weekly show as volunteers for so long. But allowing Beyond the Pale's archive to decay in storage would be an even greater loss. We hope we can count on you. May 11, 2014 — It is with a heavy heart that we announce that after 19 years Beyond the Pale will no longer be broadcasting on WBAI. We are exploring alternative platforms and hope to resume an online presence soon. 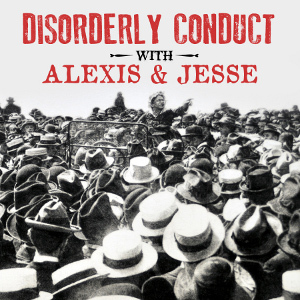 March 30, 2014 — Alex Kane hosts a show dedicated to the political situation in Palestine. He sits down with two contributors to the new book Gaza Writes Back: Refaat Alareer, who edited the book, and blogger Yousef Aljamal. The two are Gaza residents currently touring the U.S.
And closing out the show is an interview featuring Ali Abunimah, the author of the new book The Battle For Justice in Palestine. They discuss the Palestinian Authority, the boycott, divestment and sanctions movement and comparisons between Israel/Palestine and South Africa. No information yet; check back soon! NYT finds Jewish terrorism 'romantic'?